All the link we send you to are free as at time of linking them to this page. Our aim is to help children and parents, In these times some parents do not have a lot of time so we can do a little work for them. we understand what it is like to have a child with a problem. It is easer to send you to other sites than or to duplicate or copy work that has already been done. This is another good site for learning for young children. It also has sign language. Try this page. 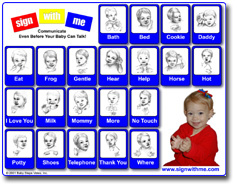 http://www.funbrain.com/signs/index.html for sign language. Institute of German Sign Language.